Halloween may be known for its frightful spirit, but the candy it brings in also gives the holiday a sweet side. However, while these treats are fun for kids and adults, they are particularly dangerous for dogs. If you’re a parent of a pup, here’s what you should know about the danger candy poses to a pet—and what you and your veterinarian can do to keep them safe. What Halloween Candy Is Dangerous for Dogs? In general, avoid feeding your dog any treats intended for humans, as they can cause digestive distress. Chocolate, for instance, contains theobromine—an ingredient known to be toxic to dogs. While this toxicity may not always be fatal, it can lead to severe health problems, including seizures, vomiting, tremors, and heart dysfunction. Other ingredients that are potentially toxic to dogs include raisins, nuts, chewy and sour candies, and sugar-free items containing xylitol. Beyond the snack itself, Halloween candy wrappers are also dangerous. When consumed, these wrappers can cause blockages in the digestive tract that may require pet surgery from a skilled veterinarian. How Can You Prevent Your Dog From Eating Halloween Candy? Dogs are adventurous eaters and don’t know what can be harmful to them. As such, you should make sure to safely store Halloween candy out-of-reach—even if they are wrapped. If you’re passing out candy to trick-or-treaters, keep the container up high when not in use. Similarly, kids should be instructed not to share their treats with pets. 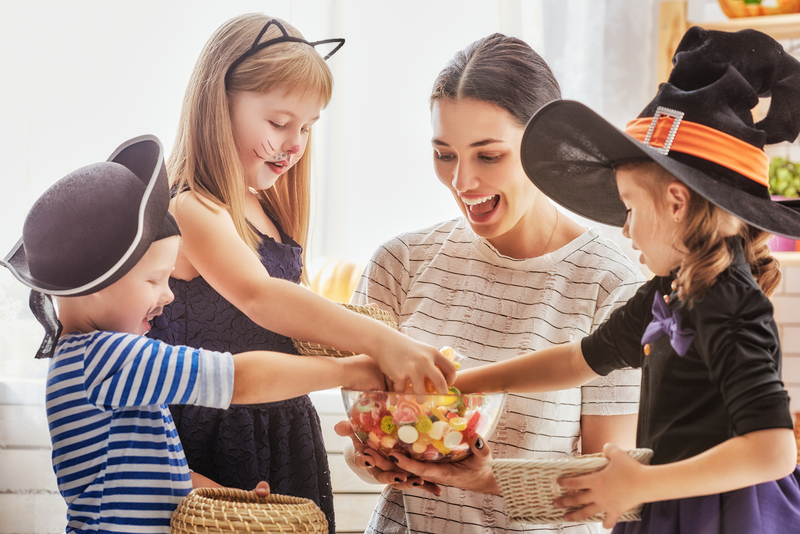 To minimize the risk of your dog accidentally grabbing hold of a child’s candy, try to restrict treats to a specific time of the day—such as when your dog is crated away for the evening. After consuming treats, clear away any leftovers and wrappers. If you’re enjoying Halloween candy and your dog becomes interested, have safe and nutritional treats on hand to bring them into the festivities. In the event you host a Halloween party, take steps to keep your dog away from any areas that may contain food. If you believe your dog has consumed potentially-toxic candies, call a veterinarian immediately. These professionals can assess the pet’s behaviors and determine if emergency action should be taken—and how you can monitor the problem. If your dog consumes Halloween candy and requires an emergency vet, Avon Animal Hospital is available to help. Serving the Livingston County, NY, this trusted animal hospital is staffed with caring, skilled veterinarians that will quickly address poisoning in dogs. If treatment is needed, their team is equipped with advanced tools to provide safe and effective treatments, including pet surgery. For more information on these services, visit this veterinary hospital online. To request emergency care or schedule an appointment, call (585) 226-6144.